Coming down heavily on the Central and State Governments for their willful disregard of the Supreme Courts’ May verdict on drought relief, the Apex Court asked Swaraj Abhiyan to file a Contempt Petition against those who have disobeyed the Court’s orders. The Division Bench of Justice Madan Lokur and Justice N.V. Ramana repeatedly expressed their displeasure at the gross callousness of the State and Central Governments. Justice Ramanna was dismayed at the complete “non-serious attitude” of the Governments in this matter - “We [the Supreme Court] pass orders. They [State Governments] don’t obey and you [Central Government] throw up your hands,” observed Justice Ramanna. He said the Court may be left with no option but to appoint Court Commissioners as prayed by the petitioner. In a hearing that lasted half a day, the Central and the 12 State Governments were repeatedly exposed for multiple instances of non-observance of the Court’s order. Prashant Bhushan, the counsel appearing for Swaraj Abhiyan presented the Court with evidence that its landmark judgment ordering universalization of PDS in drought-affected areas was not even implemented by a single State. The same was the fate of its order of supplementing the mid-day meal scheme with additional milk or egg. The Court’s order on supplying mid-day meal during summer vacation was openly defied by 3 States. Instead of appointing independent Food Commissions as mandated under the National Food Security Act, State Governments have delegated to Consumer Redressal Forums, Women’s Commissions and even Child Protection Commissions!! The Additional Solicitor General, P.S.Narasimha admitted that these appointments violated the law. The petition by Swaraj Abhiyan, which is being heard since December last year, points out many other gross violations of the Court’s order. While the Court had ordered immediate payment of compensation against delayed payment of MNREGA wages, only 1.5% of the total dues have been paid so far. Nearly half the States have run out of MNREGA funds but the Centre has no plans of releasing the second installment of funds due in the first week October, the bench was told. There is no grievance redressal mechanism for crop loss compensation or farmers loan restructuring, although the Court had directed that the policies in this regard be religiously followed and implemented. The Government has failed to even share information about the status of crop loss compensation and farmers loan restructuring, it was revealed during the hearing. Prashant Bhushan drew the Court’s attention to the prevailing drought conditions in many parts of the country this year as well. 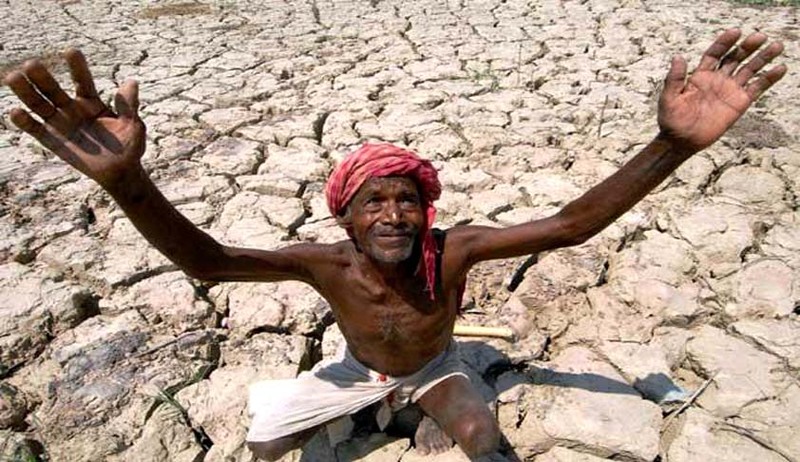 At the end of the monsoon season, at least 149 districts of the country are reeling under drought, going by rainfall data of the Indian Meteorological Department. These districts had either a shortfall of 50% in the first two months or 25% or more over the entire four months of monsoon. The Court observed that it would not allow repetition of the mistakes made in the declaration of drought last year. Justice Lokur mentioned news reports about mal-nutrition related deaths in Maharashtra. There are similar reports from other states. “Children are dying of mal-nutrition. Does anyone care?” asked Justice Lokur. Expressing deep anguish at this flagrant violation, the Court expressed strong resolve to ensure that relief granted by the Court to the drought-affected are not denied. Refraining from passing any order today, the Court asked Swaraj Abhiyan the petitioner to bring a contempt petition/affidavit identifying the specific violations of the Court’s orders and the officials responsible for those violations. The Court would consider issuing notices to all those guilty of willful and contumacious disregard of the Court’s order. It may be recalled that SA had filed this petition in December 2015 asking 12 States and the Union of India to respond on denial of fundamental rights of drought affected citizens. The Court had passed four orders on 11th and 13th of May 2016 directing universalization of PDS, nutritional supplement of milk or eggs in mid-day meal, proving mid-day meal during summer vacation, release of adequate funds for MNREGA for payment of arrear wages and promotion of the scheme and religious implementation of all policies for relief under extant guidelines for crop loss compensation and farm loan restructuring.